How many times have you wondered what it would be like to have a personal assistant? You probably think about having the extra arms and ears to help you take care of your daily responsibilities, which at times can get overwhelming—especially when you have calls coming in around the clock or just at inopportune times. Funeral home phone answering services are just like personal assistants. They can handle your calls, freeing you up to tackle other duties. When the phone rings, you might be busy doing anything from meeting with a family, taking a First Call, conducting a funeral, or arranging services. Instead of halting your activities to catch every call, phone answering services are there to do it for you. Situations such as meeting with families or conducting funeral services calls for complete focus. Any interruptions could tarnish your reputation. With funeral home answering services, you avoid those interruptions and your calls go directly to your “personal assistant” who is equipped to provide whatever your callers need. 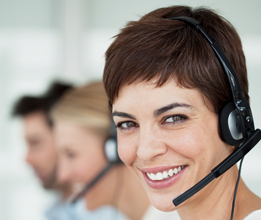 With your phone answering services, you get more than just your calls answered. Virtual assistants can also schedule appointments, dispatch services, make calls on your behalf, and provide callers with answers about your funeral home and other related resources. When you’re on call, your phone can ring at any time. When someone dies, your plans aren’t considered. Even when you are away from the funeral parlor, you don’t have to worry that your calls won’t be answered. The same professionalism and dedication is shown by your phone answering service because they always work remotely, but they are there whenever you need them. You can give them specific instructions for when you are on call. You can specify which calls are forwarded directly to you, and you can make special arrangements if you are on a vacation or spending time with friends and family. With funeral home phone answering services, you can stress less when you are away and on call because the burden of answering those around-the-clock phone calls rests with your live call answering specialists.